Domenico Montagnana Venice, c1721 "Wanamaker-Rejto"
The cello was owned by Colonel Stoffel who had been Napoleon III’s military attaché in Berlin at the outbreak of the Franco-Prussian War in 1870. It was then bought by Gand & Bernardel Frères in 1874 and resold in the same year to Hippolyte Rabaud (b.1839, d. Paris April 20, 1900) a cellist in the Opera Orchestra who was also a professor at the National Conservatory of Music in Paris from 1882 until he retired on 31 May 1898. The cello was sold back to Gustav Bernardel in 1899 and it was bought the following year by André Hekking (b. Bordeaux, July 30, 1866, d. Paris, December 14, 1925) while he was the solo cellist of the Casino in Dieppe. Hekking was also a professor at the Paris Conservatoire, an instructor at the American Conservatory in Fontainebleau, and a member of a distinguished Dutch-French family of cellists (his brother Anton was principal cellist with the Boston Symphony in the 1890s and his cousin Gérard was first cellist of the Concertgebouw Orchestra from 1903 to 1914). The cello was sold from the Hekking estate on May 6, 1926 to the American philanthropist Rodman Wanamaker (1863-1928). 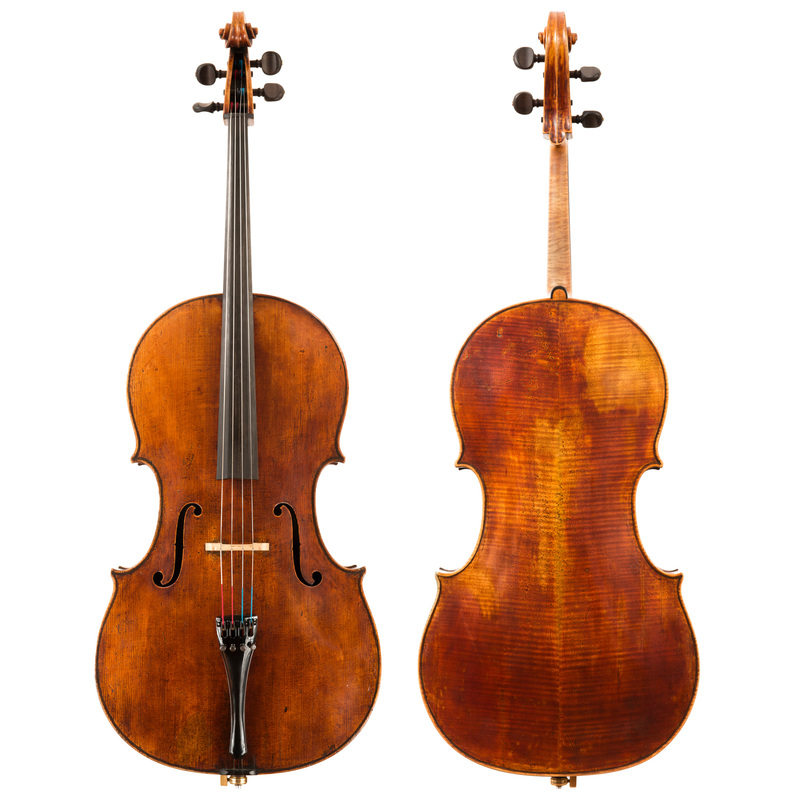 Wanamaker only began collecting rare Italian string instruments in 1925. At the time of his death the collection totaled more than 60 instruments including examples by Stradivari, Amati and Guarneri. On November¬ 9, 1929 the Rudolph Wurlitzer Company, New York sold the cello to Alfred Wallenstein (1898-1983) who was then Principal Cellist of the New York Philharmonic Orchestra under Arturo Toscanini. Wallenstein left the orchestra in 1936 and turned to conducting. He was appointed music director of the Los Angeles Philharmonic in 1943. In October 1949 the cello was purchased from Rembert Wurlitzer, New York by the renowned Hungarian cellist Gabor Rejto (1916-1987). Rejto had studied with Pablo Casals and concertized throughout Europe prior to moving to the U.S. in 1939. He continued an active chamber music career and was increasingly sought after as a teacher, joining the faculties of the Manhattan and Eastman Schools and in 1954 the University of Southern California. The cello was inherited and played for many years by his son Peter Rejto, a chamber musician and faculty member at the Oberlin Conservatory. Upon his retirement it was entrusted to the firm of Rare Violins of New York, and purchased in 2005 by Jan Vogler. In 2015 it was sold to a European investor.